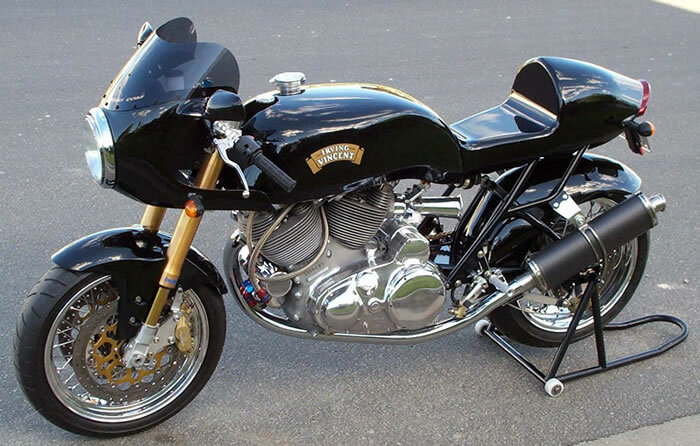 For those who are not familiar with the Vincent Heritage, Phil Irving was one of the key people who made the Vincent legend; his contribution was equal to Philip Vincent himself as the Chief Engineer. 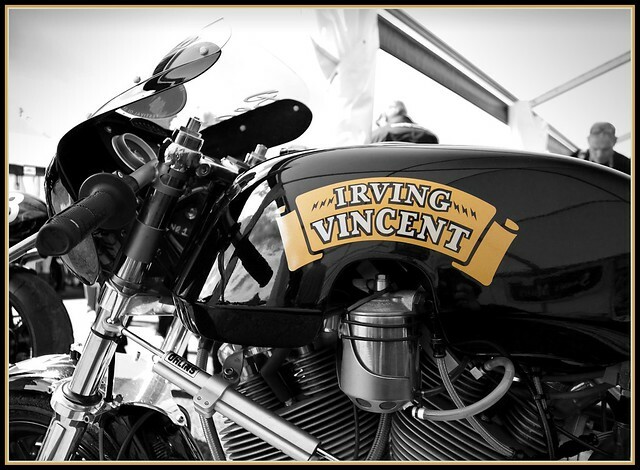 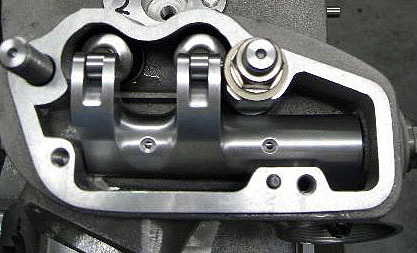 Irving led the design of the Vincent engines and frames for the Series A, B and C and in honor to his memory and his Australian origin, his name was associated to Vincent, courtesy of his family. 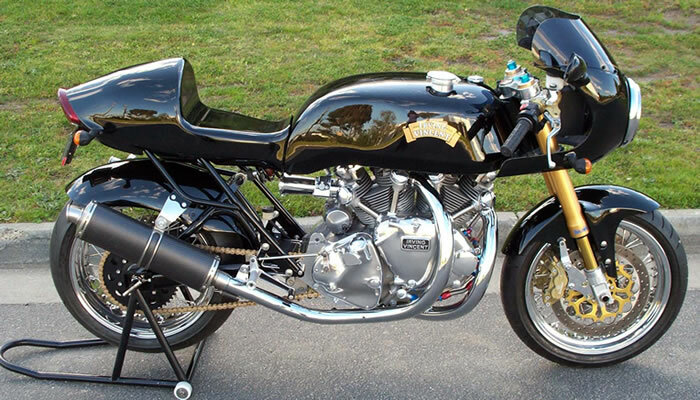 Today the Irving-Vincent is still based on a 1946 Vincent Series-B Rapide but, of course, extensively re-engineered to create this cheeky Superbike that dare to challenge the most modern pieces of Engineering. 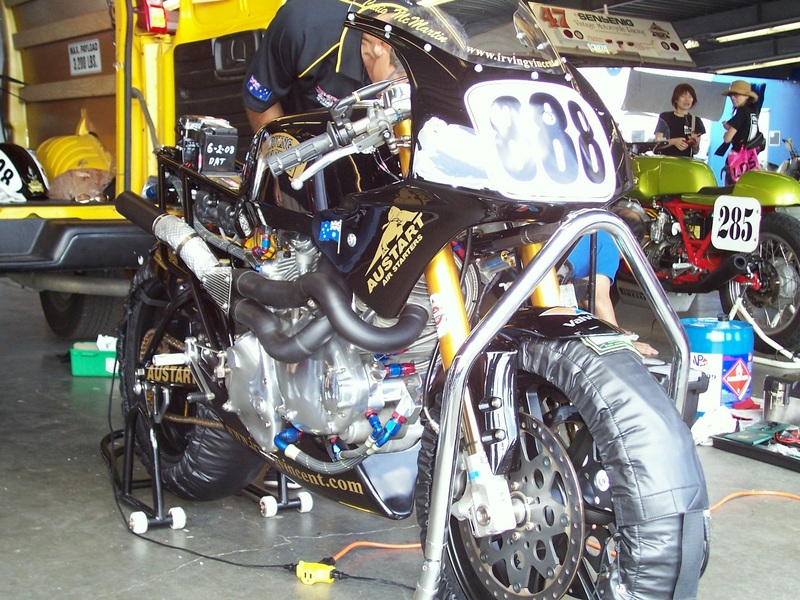 Ken and Barry Horner own KH Equipment in Australia. 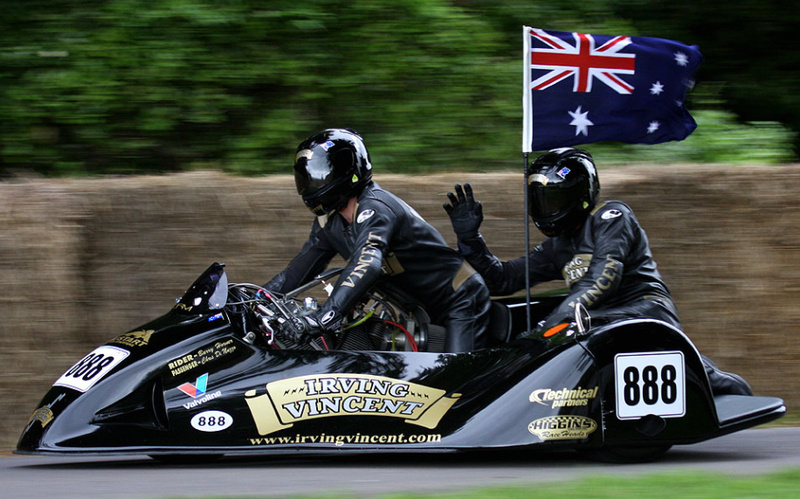 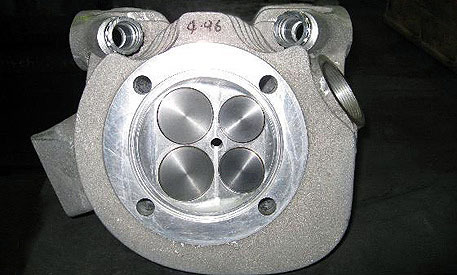 Passionate about Vincent, they started to work on the Irving-Vincent project in 1999 to address the demand for Vincent parts and demonstrate their business capabilities. 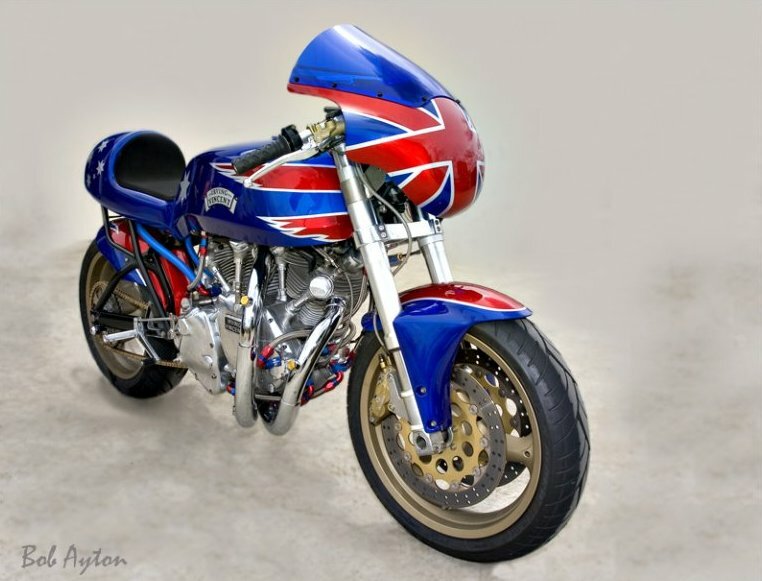 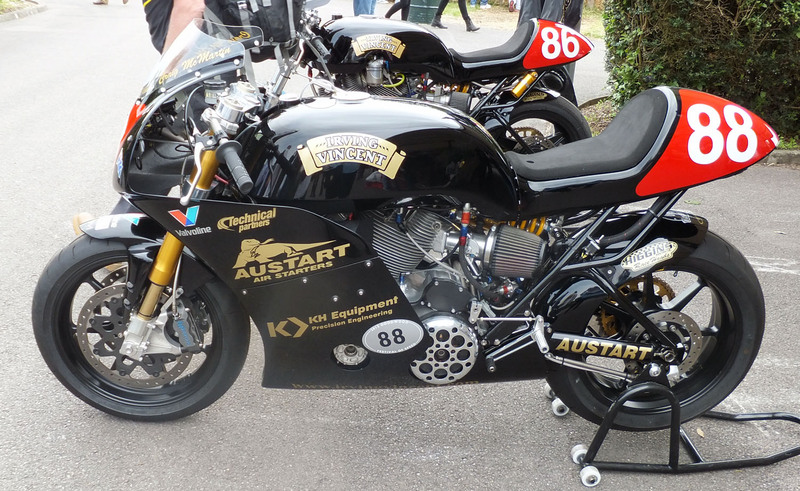 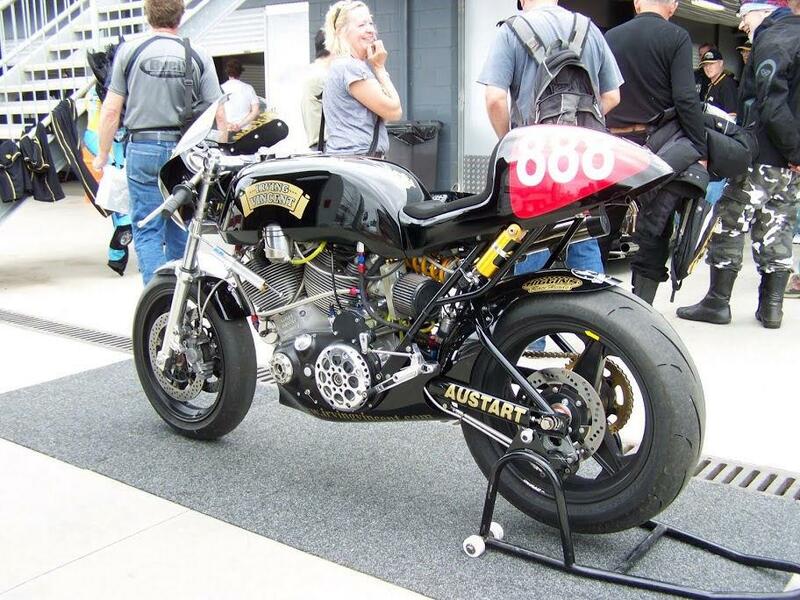 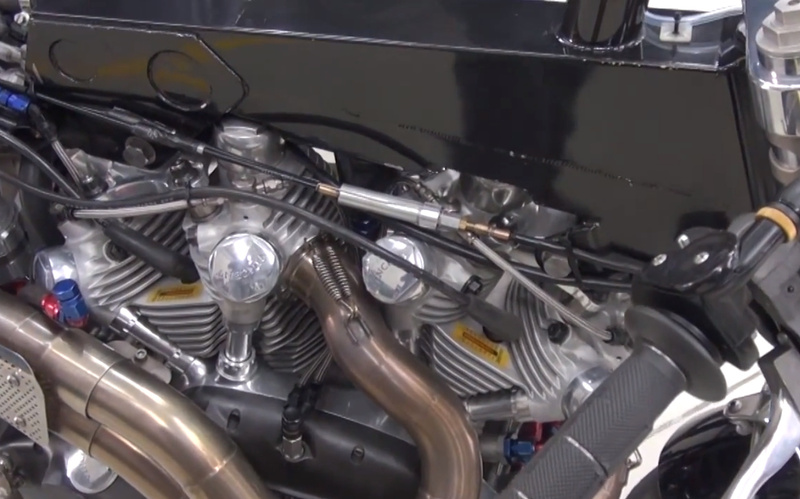 However, it did not take long before they bet that they would be able to design a complete bike, competitive enough to win in the Superbike Historic championship. 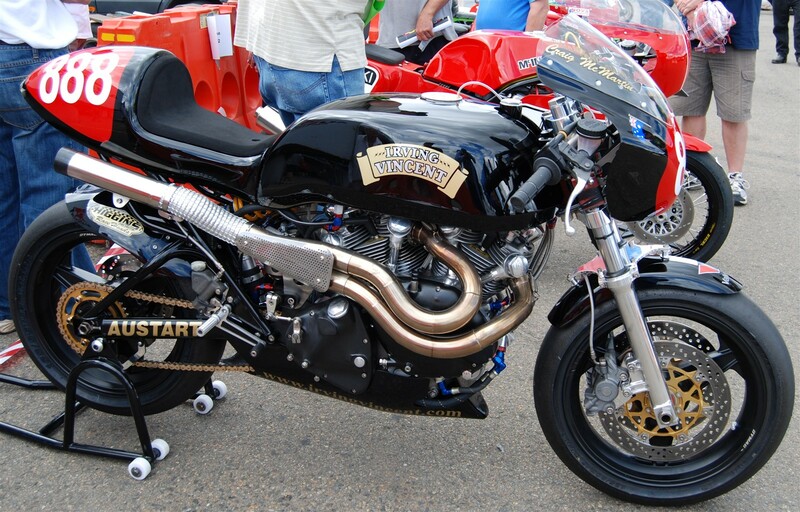 From 2003, the Irving-Vincent started to align victories and finally in March 2008, the air-cooled two-valve pushrod V-twin made its outing on the Daytona Speedway, where it beat a horde of liquid-cooled multi-valve Superbike race replicas. 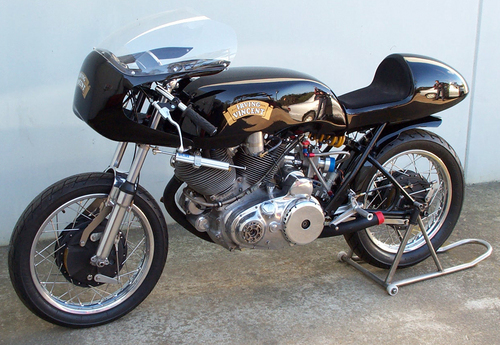 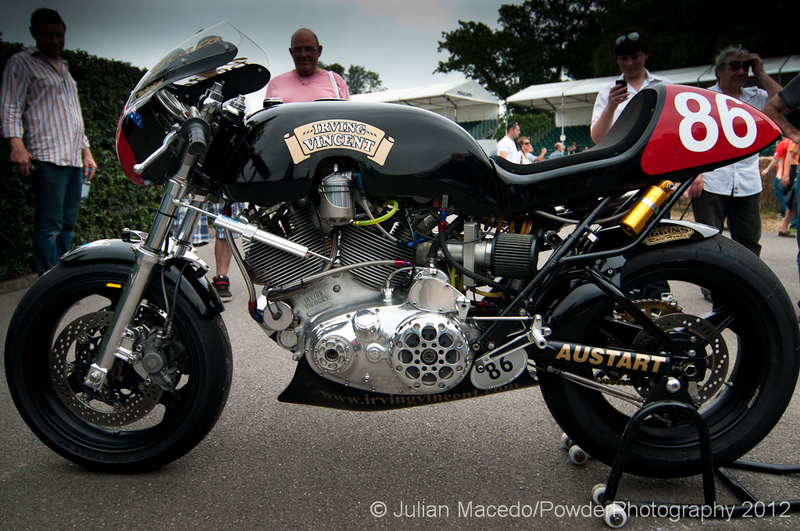 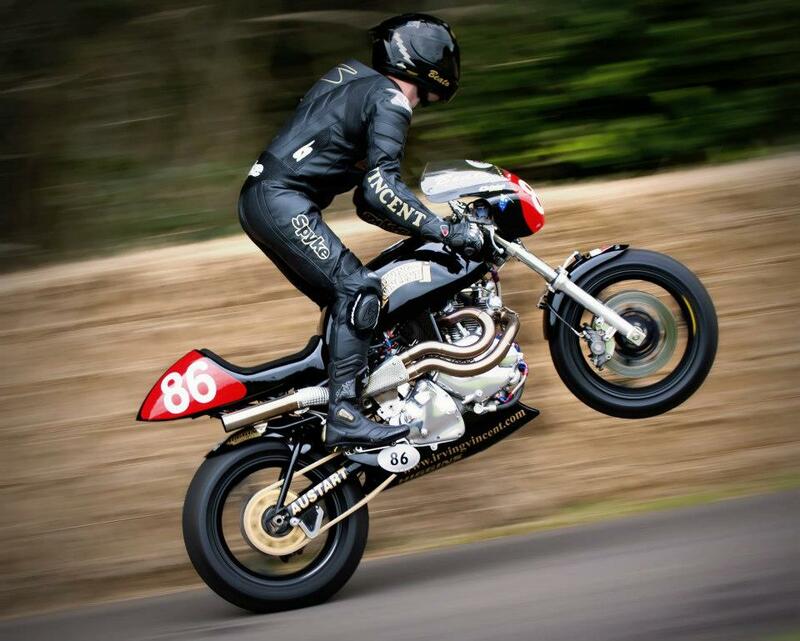 “The Horner Brothers believed in the Vincent engine and its ability to deliver massive power and torque at relative low revs, but the challenge was to turn a seventy years old engine into a monster of the modern track racing. 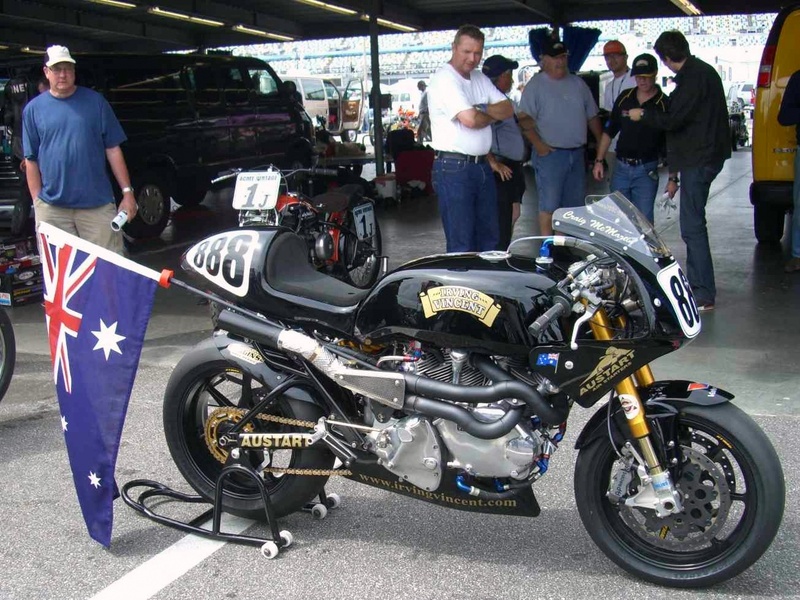 It is where KHE expertise was able to make a difference, leveraging their technology and experience gathered from the Australian V8 Supercars championship and their capable skills in metallurgy and precision engineering. 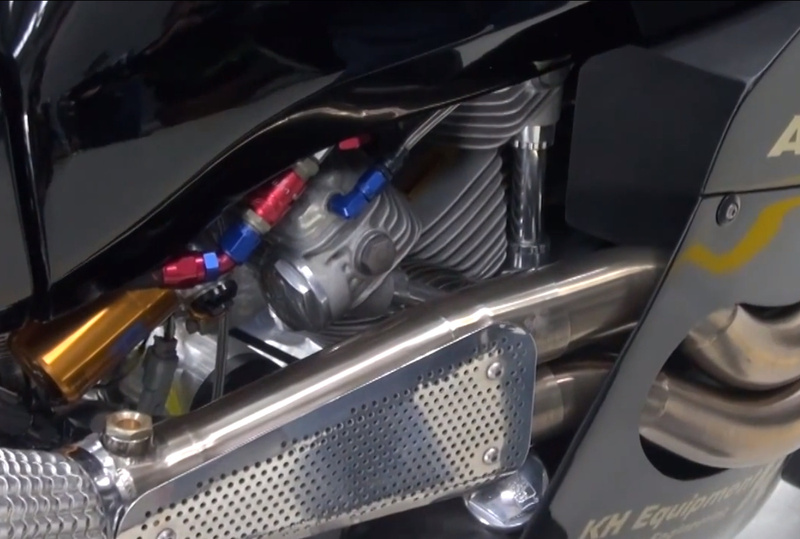 The later 1571cc delivers 165 bhp @ 6500rpm and 130 Lbs/ft on racing gasoline while the 8-valve engine achieves 186 bhp @ 7300rpm with 142 Lbs/ft @ 6500rpm.